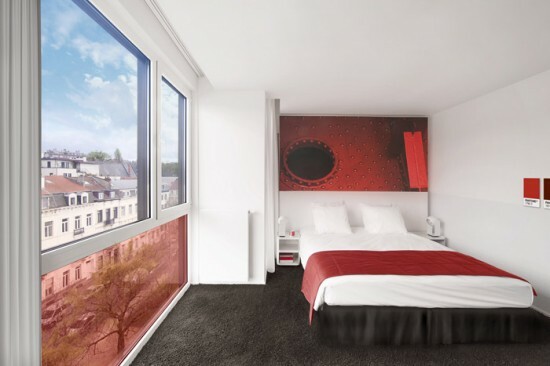 In Brussels, there is a hotel that stands apart from all others around the world. 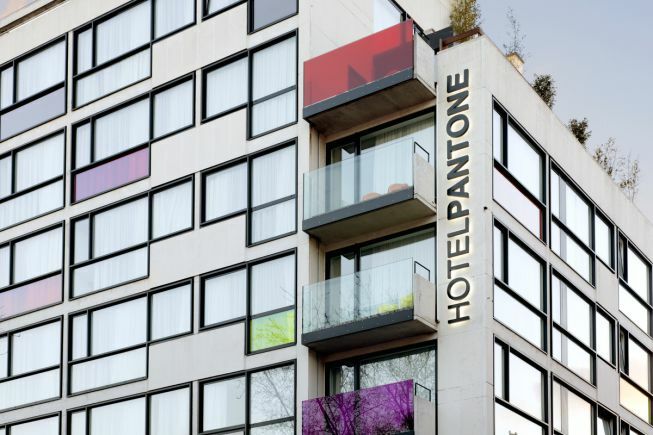 Designed in 2010 by Michel Penneman and architect Olivier Hannaert, the Pantone Hotel is located in the hip Saint-Gilles neighborhood, just five minutes from the chic shopping on avenue Louise. And what a palette of colors! From the get-go, this boutique hotel will awaken your senses to a range of delights and funsurprises. 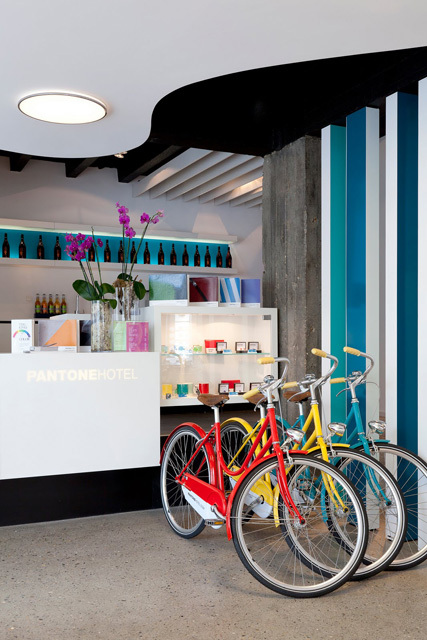 You will also find a wide selection of brand products: from cups to bicycles, candles, chairs and iPhone cases, it’s a Pantone paradise ! 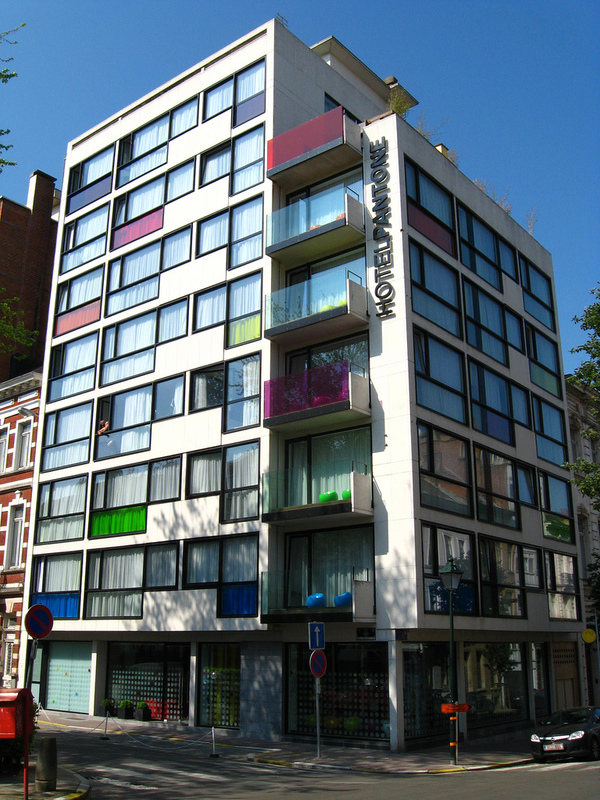 The hotel’s 59 rooms are spread across seven floors, and each has its own distinct hue. 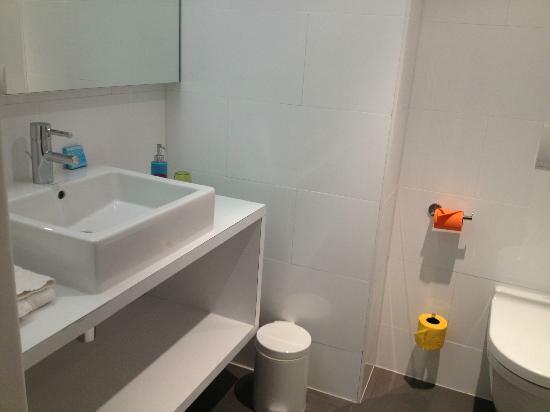 Thereare two types of rooms available: large and extra-large. 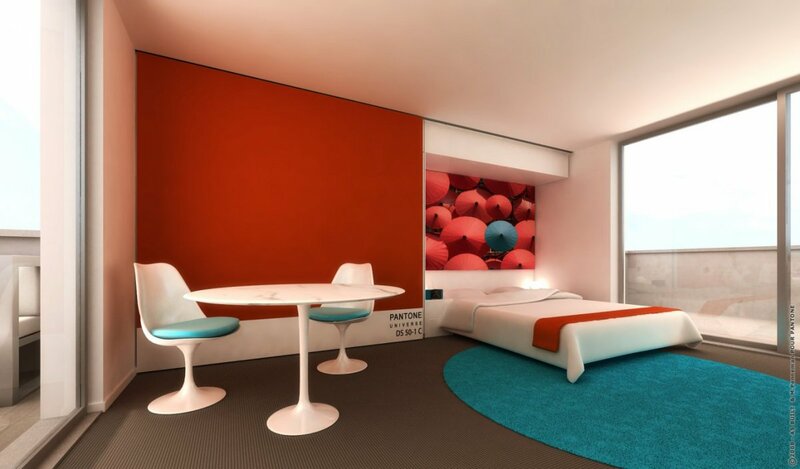 Match your room color with your mood of the day ! Fancy Oli’s tip: reserve one of the two rooms on the top floor. 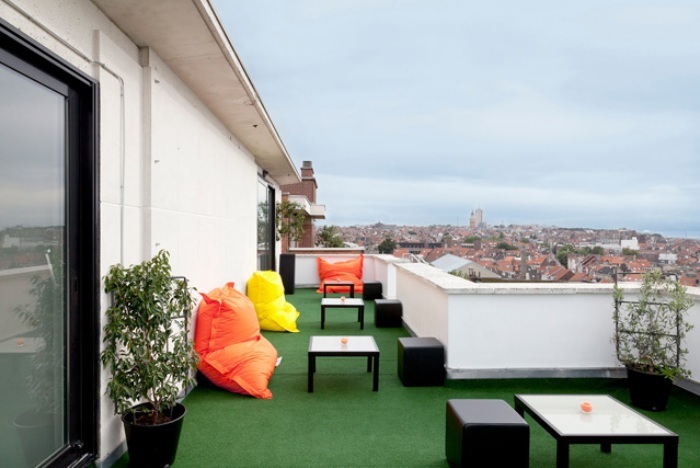 They share a rooftop with a 360-degree view of Brussels. 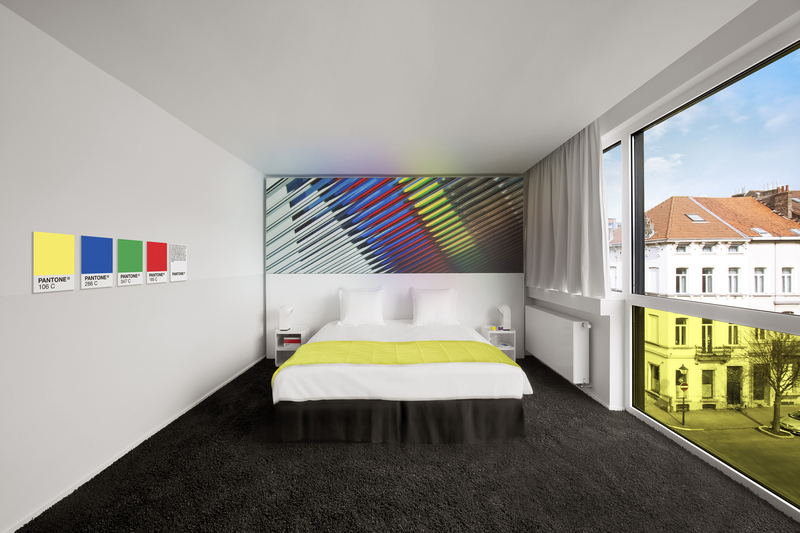 The Pantone Hotel is a simple, fresh boutique hotel, with an excellent location, original concept and welcoming place to stay. The staff is very patient and takes good care of the clientele, and you’ll get free wi-fi to boot. To sum it up, it’s everything Fancy Oli loves and recommends. Areyou really going to stay there just once ?